A high level consultation meeting on the situation in Democratic Republic of Congo (DRC) following elections resolved that the country’s Commission Electorale Nationale Indépendante (CENI) suspend any proclamation of final presidential results. The closed door meeting that took place in Ethiopian capital, Addis Ababa was attended by among others; President Museveni in his capacity as East African Community (EAC) chair, a number of Heads of State and Government or their representatives from SADC, the ICGLR, ECCAS, ECOWAS, IGAD, the African members of the UN Security Council, the AU troika, as well as by the Chairperson of the AU Commission. In a statement following the meeting, the leaders concluded that there were serious doubts on the conformity of the provisional results, as proclaimed by the National Independent Electoral Commission, with the votes cast. “Accordingly, the Heads of State and Government called for the suspension of the proclamation of the final results of the elections,” the statement reads in part. “The Heads of State and Government agreed to urgently dispatch to the DRC a high-level delegation comprising the Chairperson of the Union and other Heads of State and Government, as well as the Chairperson of the AU Commission, to interact with all Congolese stakeholders, with the view to reaching a consensus on a way out of the post-electoral crisis in the country. 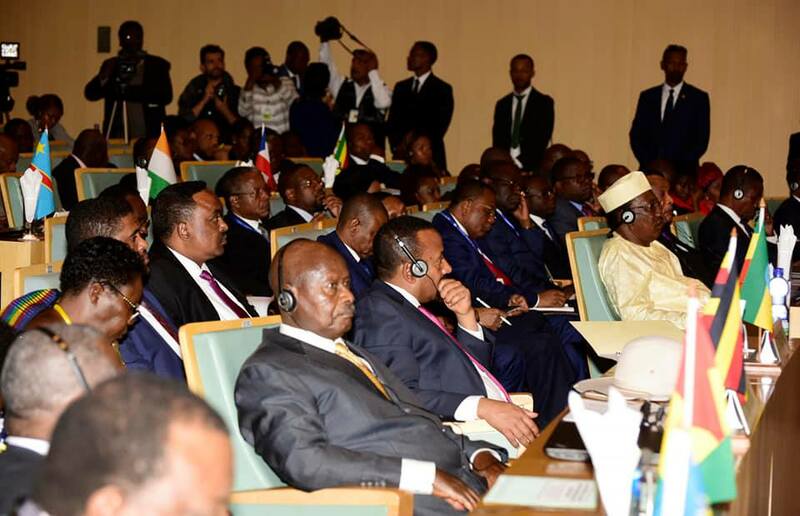 The meeting urged all concerned actors in the DRC to interact positively with the high-level African delegation in the interest of their country and its people,” the statement continues. Meanwhile, Southern African leaders under their umbrella Southern African Development Community (SADC) backtracked on their earlier recall for a vote recount in the DRC polls and instead called upon the international community to let DRC stake holders handle the state of affairs. Earlier, the same leaders had backed a call by DRC opposition leader and catholic backed Martin Fayulu’s call for a recount. According to the Congo Research Group, leaked data from CENI and the catholic church indicates that Fayulu won the election by a huge margin (59.42%) followed by Felix Tshisekedi with 18,97% and Emmanuel Ramazani Shadary with 18,54%. CENCO’s tallies were 62,80%, 15,00%, and 17,99%, respectively. “The results contradict those published by the election commission on January 10th2018, which proclaimed Felix Tshisekedi the winner with 38,57% of the vote, followed by Martin Fayulu with 34,8% and Emmanuel Ramazani Shadary with 23,8%. These two documents suggest that the elections were dramatically rigged in the favor of Felix Tshisekedi––the difference between his tally the official results and the leak is around 3,6 million votes. The Constitutional Court is currently considering a challenge to the results. If it confirms Tshisekedi’s victory, it will be extremely difficult to reverse the results,” the Group states.